Disturbances in impulse generation (enhanced automaticity or ectopic tachyarrhythmia). Disturbances of impulse conduction (reentrant arrhythmias). Most of the evidence suggests that reentry is the mechanism for sustained ventricular tachycardia (VT). he site or sites where such disturbances are present. 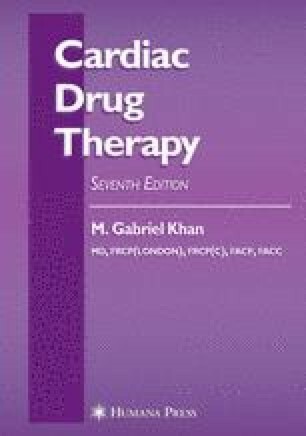 The mode of action of the drug with which control of the arrhythmia is to be attempted. Associated with a low blood pressure < 90 mmHg, congestive heart failure (CHF), or distressing symptoms. Associated with cardiac pathology, accessory pathway or secondary to hypoxemia, acute blood loss, electrolyte or acid-base imbalance, extracardiac conditions as diverse as thyrotoxicosis, chronic obstructive pulmonary disease, or acute conditions such as pyrexial illness, pneumothorax, or even rupture of the esophagus.